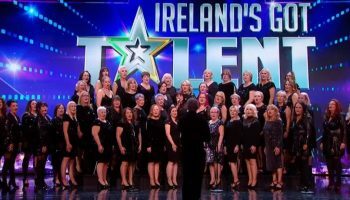 Congratulations to Wicklow ladies Mary DeCourcy from Wicklow town, Marian O’Regan from Arklow, Denise O’Donnell from Ashford and Siobhan Gleeson originally from Kilcoole who are members of the Sea of Change choir who appeared on Virgin Media One’s, Ireland’s got Talent on Saturday night. 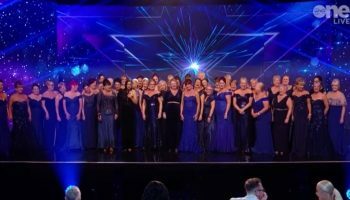 The choir comprises of 45 woman from all over Ireland who took part in the world’s largest skinny dip at Magheramore beach here in Wicklow last June. 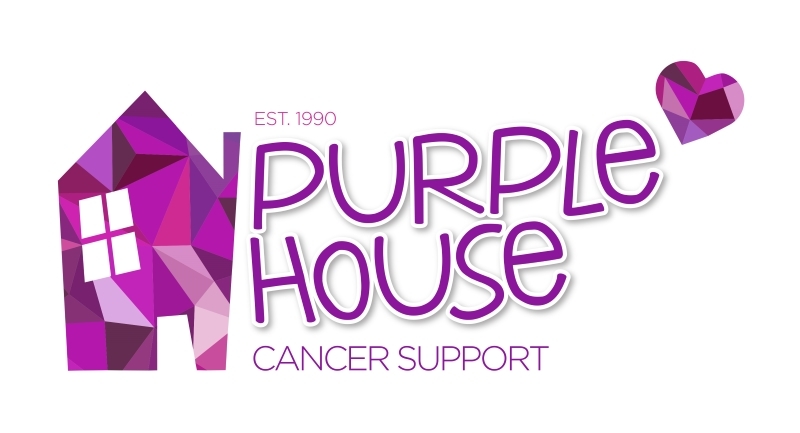 The girls performed “This is me” from the Greatest Showman to an ecstatic audience and panel, judge Denise van Outen wasted no time hitting the Golden Buzzer and putting the choir straight through to the live shows. Speaking to Wicklownews after the performance Mary DeCourcy who many will know through her Trojan work with the Wicklow RNLI said “It was one of the greatest experiences of my life, it was truly amazing, everything about it was fantastic and the girls are amazing. We have put in hours and hours rehearsing and please God everyone will vote for us when it comes to the live shows, but sure Louis Walsh said we will win it. I might be using a walking stick, but I will tell you I floated on and off that stage with the excitement. My phone has not stopped buzzing since the show ended and I’m sure all the other girls are the same it is just amazing as was the day last June when we all went out on a beautiful summers day and went for a dip in the sea at Magheramore.